My licenses aren’t up to date. So, rather than be out of compliance by discussing this topic, I’ve brought in Tasha Hungerford, a CPA and Partner from Grow Accounting, to tell us more about it. And that’s a shame because it’s our last legal tax haven in this country, so you ought to be contributing to it to benefit from the tax advantages that come with it. And more going into the investments in your superannuation. And think about how you can invest that money! In fact, it may be advantageous to throw a lump of money from a property sale or sale of shares into your superannuation. But in the pension phase, your taxes from your superannuation fund are zero! However, the latest age to begin payments is 65. So if you’re not taking advantage of this tax haven, you should be! Because you don’t have to rely on somebody else to manage your assets. By borrowing from it to buy real estate! In fact, it’s exactly like that. This is so that whatever happens, you have the company above it for asset protection. Any additional asset classes will also add to the maintenance costs. If you’ve got say, five or six properties and other assets in there, maintenance of the SMSF will take a little more work and cost a little more. Think of these costs as if you’re actually running a business. It’s not an ATO audit, but an independent auditor to verify that financials have been filed and they reflect what has happened in the fund that year. So setup takes a bit of doing and a bit of time before you will have it ready. The limit is $25,000, up to 50 years old. If you’re over 50 years old, it’s $35,000. Those kinds of contributions would be non-concessional contributions. Or, you can use the bring forward rule where you can add another two years, which is $450,000 or three years’ contributions in one year. They can put up to $900,000 at one time in non-concessional contributions if, say, they sold a property and had that much money to contribute. Because super rules can change from year to year and you want to be careful not to breach those limits. Since then, clients have borrowed from their SMSFs to get into more investment properties than they otherwise would be able to. This bare trust will have not charge over your other assets in your SMSF. 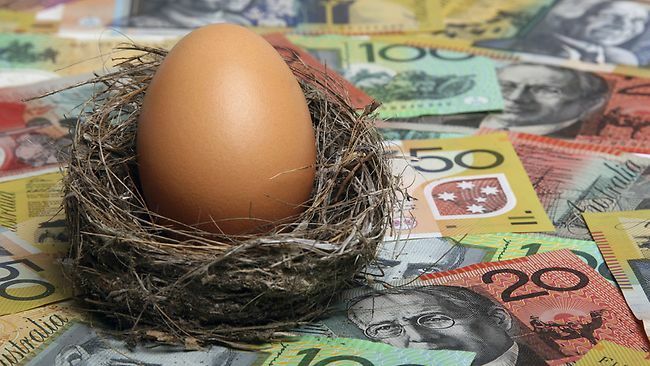 This is to protect those remaining assets in your SMSF unrelated to the real estate assets. However, this bare trust is also still protected and governed by the same rules as your other assets in your SMSF. So you’ll want to ask for a longer settlement period. Because they view it as sure thing, since they know that the money is already there. You can’t buy property for present benefit. Buying a residential property from yourself, or even a holiday house, is not allowed. The sole-purpose of the property must be for your benefit in retirement only. In that case you are allowed to run your business out of it, but the property can’t be anyplace that you can stay in, not even on the odd weekend. If you are, it’s probably not allowed. For further questions, I will be happy to talk to you. Thank you, Tasha, for this very helpful information! Before the rules change again!